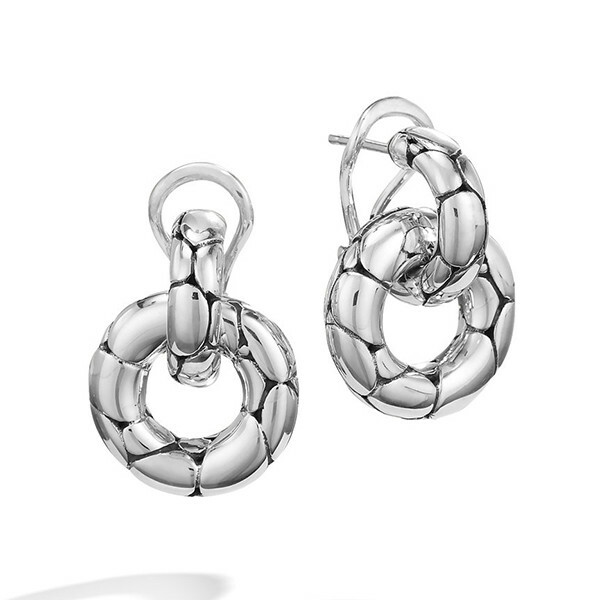 Add a little pizzazz into your wardrobe with these John Hardy door knocker earrings from the Kali collection. A hoop of shiny sterling silver holds a ring of sterling silver much like a door knocker. Both pieces are covered with the pebble motif of the Kali collection. Each earring has a post with a clip for comfort and security. Let these little beauties become your new favorite!